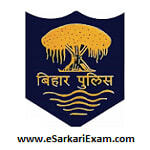 Eligible Candidates can Download Bihar Police SI hysical Exam Admit Card at the Official Website of BPSSC. Applicants First Logon to BPSSC Official Website. Open Download SI PET Admit Card Link at Home Page. Open Admit Card for Physical Test Link. Fill Login Details & Click Submit Button. Open and Take Admit Card Printout.